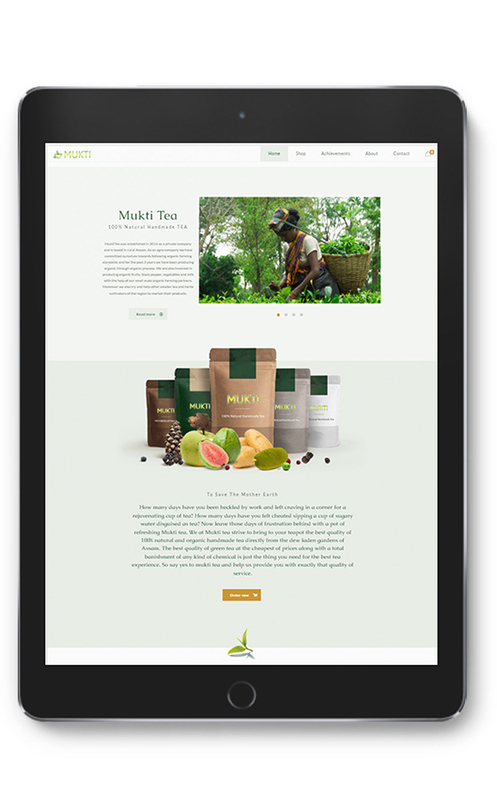 Mukti Tea was established in 2016 as a private company and is based in rural Assam. As an agro company we have committed ourselves towards following organic farming standards and for the past 3 years we have been producing organic through organic process. We are also involved in producing organic fruits, black pepper, vegetables and milk with the help of our small scale organic farming partners. 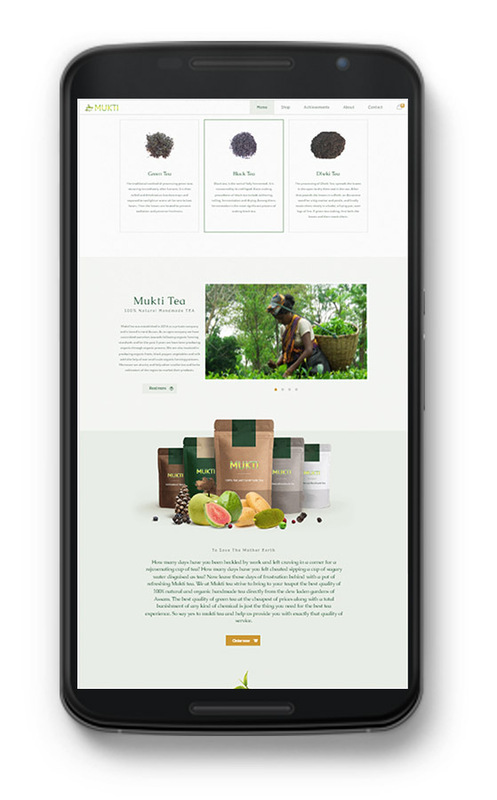 Moreover we also try and help other smaller tea and herbs cultivators of the region to market their products. Ours is a company dedicated to fight years of unlawful employment and bad practices which has led to poor land management in the region. We are working hard towards changing the conventional method of tea cultivation in the region of Assam and also towards providing high quality and healthy tea to the masses. Moreover the living standard of our workers have also improved a lot in the years because of our continuous effort. The land is now perceived as a valuable asset that must last for generations to come. We are one of the proud member of Brahmaputra Organic Society, Assam. It is never easy to start a revolutionary work, but here at MuktiTea, our dedication has paid off with a positive impact on the local mass. We believe that as we grow, our impact on the local mass increase as well, so that this beautiful region of ours can be at par with rest of the fast growing regions of the world and in the process protecting the interest of the people as well as the land. We would also like to keep ourselves involved in works pertaining towards the welfare of the society in the near future as we believe that our endeavours towards the growth of society will favour us as well. The Brahmaputra Organic Society was formed on the month of May 2016 at the time of an Organic training program under small tea growers advisory program, organized by Department of Tea Husbandry & Technology, Assam Agricultural University Jorhat & Directorate of Tea, Govt.Of Assam. Brahmaputra Organic Society, Assam has more than 70 organic tea cultivator members from many districts who are interested in organic & indigenous Farming. The Farmers are not using any chemicals & other artificial manure in their farm. They used compost, cow dung, cow urine & locally grown herbs for pest control & manure.